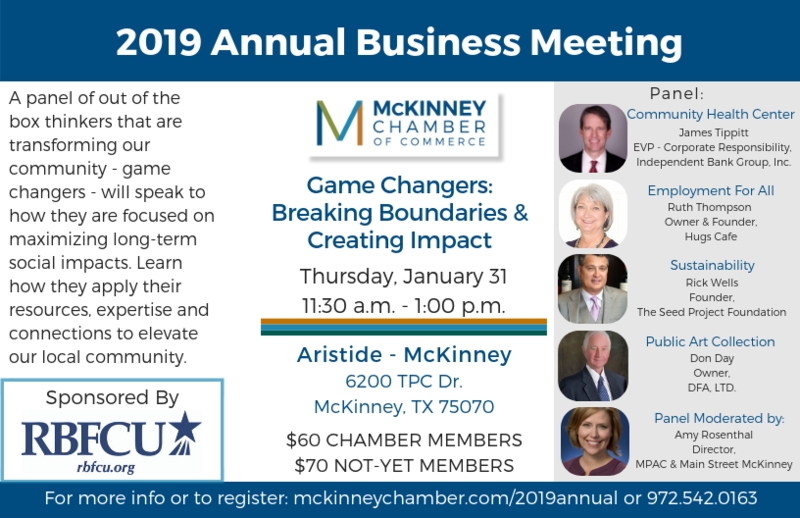 Join us for the 2019 Annual Business meeting as we hear from a panel of out of the box thinkers that are transforming our community - game changers. These community members are focused on maximising long-term social impacts. Learn how they apply their resources, expertise and connections to make a difference. We will be showcasing our accomplishments in 2018 with our Annual Report and new strategic plan. We will also recognize our Ambassador and Team of the Year, our outgoing Chairman and Board members and welcome the Chamber's new leadership for 2019. In order to receive a refund you must cancel by Tuesday, January 22 at 2 p.m.